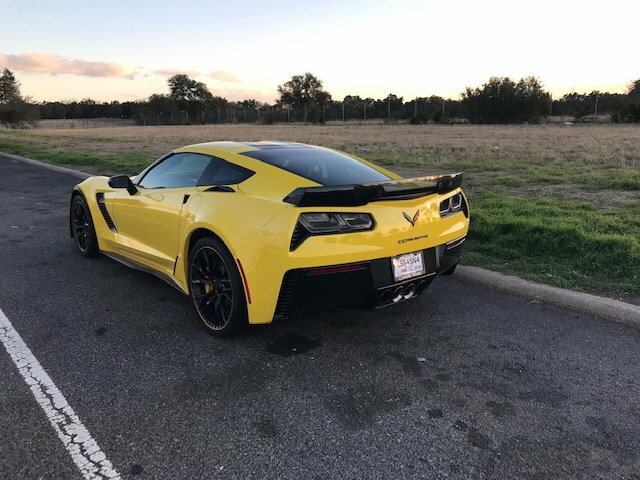 We're about to head over to Corvette World in a little bit. Once I'm there I'm going to ask that the remaining 3 wheels be taken off and inspected, afterwards I'm going to inspect it for myself, as well. On that note, I'd like to know what you guys would do in terms of reparations; would you be ok with just getting a new, working wheel after all of this when it's something it should've had to begin with? Wow! First, glad you made it back to Houston, and second, glad they are making good. Since you are so far away from them, not a whole lot else they can do than what they have on hand ... maybe if they have a nice shirt for you and the wife? Jacket perhaps? now, you can get on the journey and enjoy the ride! Might want to head up to old route 66 and see some of those sights? and I see the oh so familiar "wife waiting in the passenger seat while I take pictures" ... been there many times! Once again: Thank you everybody for all of your support. Hahaha yes indeed. I just love pulling over on the side of the road and taking pictures of my car during long roadtrips. Even when I'm driving my Honda Odyssey I like to do this so In a Corvette with a serene sunset in the background it was a no brainer! Also yes on the air pumping. Notice how there's no shots of the right rear corner or the car?? Last edited by Steven Bell; 01-26-2019 at 02:17 PM. Reason: Merged Posts-Please use the Multi Quote icon (in the lower right hand corner of each post) to make your responses look like this. So after I posted my most recent comment, I decided to take matters into my own hands after unsuccessfully following up on all my leads except House of Wheels Bob. I had decided to take the wheel off and blast it with parts cleaner in the tub of my hotel room and then rinse it off with water so it can be cleaned and prepped for JB weld. 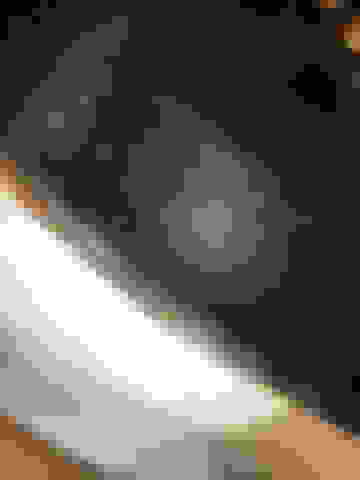 I think I overdid it a little on the downsizing of the photos this time- whoops. and what do we have between those two cracks? 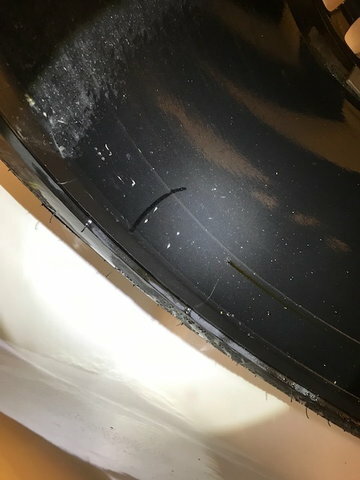 a black paint marker left by whoever inspected the wheel after it was damaged. After cleaning it and putting the right type of light on it, it's beyond a reasonable doubt at this point that the damage was caused by someone else prior to my purchasing of the vehicle. 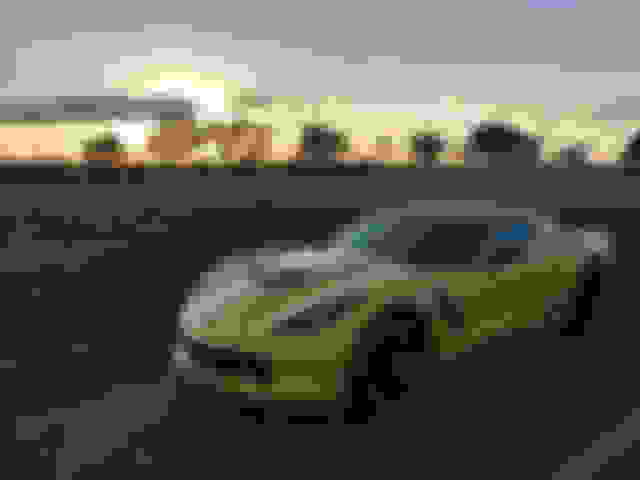 So I did what anyone would do in this situation: I got mad as hell and (politely) demanded answers from Corvette World. 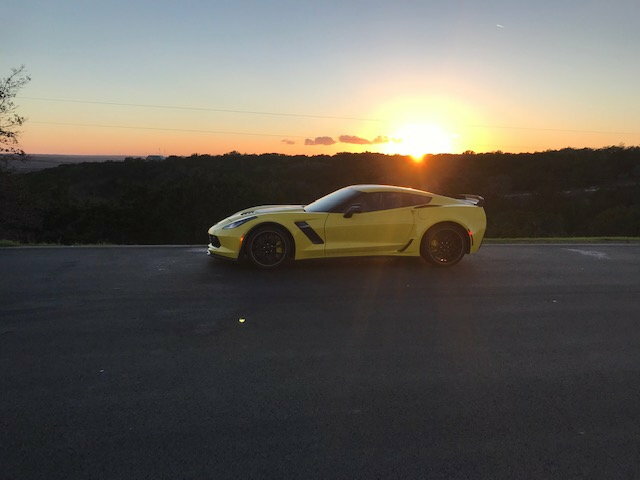 Within 5 minutes I got a response from my salesperson that they will cover the cost of a new wheel for me, and that in the meantime they'll send out a regular z06 wheel so I can continue my journey. 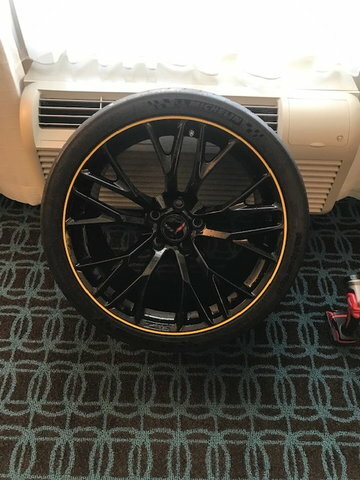 About an hour into the journey I get a call from Corvette World telling me that they had somehow sourced the exact yellow lipped wheel I needed and that they'll replace it for me as soon as I get in. The 530 mile drive took 9 and a half hours, stopping every 100 miles or so to air it back up from 30 to 53psi. So about 4-5 stops. Lastly, I just want to say thanks to everyone for your kind words, well wishes and invaluable information. Here's a suggestion: Since they are now risking some bad press on the forum, they'd be real smart if they ponied up and covered some or all of your delay expenses and turn this into a good ad for them. There's no way that they properly inspected those wheels before it was sold to you...could be an honest oversight but it could also be that they knew about it and that would be bad. After all, with the number of cars they sell, a few hundred dollars to make you happy will be a lot less that the probable loss of a few future sales. Undoubtedly, there's at least 5 guys who will not buy a car from them based on your experience but if they make you whole they might even gain some new sales by it. I'd go directly to the General Manager and in a gentlemanly way point that out to him. If he's a smart businessman he'll do it. If he won't, he's a dumb one and then he will definitely lose future sales to some folks on the forum. What a pia for you, glad your getting the problem resolved but as with most things like this it never should have happened. Resolve to do a "total reset" so you can enjoy the trip home and forget that last few days! I'm glad they are giving you a new wheel, but what a fiasco! Valuable lesson for everyone, a used car is a used car, even if it's a low mile, and just a couple years old ...still an element of risk. Glad you got things taken care of. About 10 years ago, I bought a 2005 C6 from Corvettes of Dallas (now corvette world dallas) and the radiator support was broken. I noticed this after I had driven over 800 miles back home. They did replace it, but the hassle and worry really wasn't worth it. Get a car cover, black lug nuts, polo shirt, cap - whatever you can from them. You really went out of your way to fix their mistake, they should go out of their way and more to make it right. Don't know if this has been mentioned, but hopefully they check all the wheels for cracks just in case. Also have them check fluids since you have a long trip back. while they check the other wheels, check underneath for any other damage to body panels, etc. Once this is all done and you are back on the road, like someone else mentioned... 'reset' and have fun and put this behind you. There are going to be a lot of fun miles ahead! Also, check air pressures later as they will usually be a little high after mounting a tire. Glad they’re going to make good on a wheel. Not sure I would’ve driven 9 hours back in opposite direction (not including stops) without compensation promised by management in writing - but that’s me. Plus, wasn’t it an anniversary or something? I showed my wife your story (we’re from the Bay Area and slightly older than you at 40 and had tenth recently) and I’d be down a sizable piece of diamond jewelry by now. Last edited by Parcival; 01-26-2019 at 02:10 PM. Last edited by Steven Bell; 01-26-2019 at 02:18 PM. Reason: Merged Posts-Please use the Multi Quote icon (in the lower right hand corner of each post) to make your responses look like this.
. . . About an hour into the journey I get a call from Corvette World telling me that they had somehow sourced the exact yellow lipped wheel I needed and that they'll replace it for me as soon as I get in. . . .
Last edited by MontanaBob; 01-26-2019 at 07:08 PM. Glad you were able to source a wheel and get it straightened out.